Samuel B. Casey is a public interest lawyer well-known for his defense of the sanctity of human life. 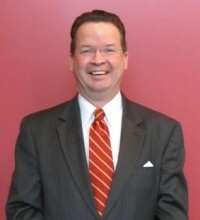 Mr. Casey is the Managing Director & General Counsel of the Jubilee Campaign’s Law of Life Project. As a pro-life advocate, he has appeared on various radio and television talk shows and been quoted in the New York Times, Wall Street Journal, Los Angeles Times, and Washing­ton Post. Mr. Casey received his B.A. in English from Stanford University in 1973 and his J.D. in 1977 with honors from the University of San Francisco School of Law. Mr. Casey is a founding organizer of the Center for Bioethics & Human Dignity and serves on its advisory board. He has served as the founding chair of the Alliance Defense Fund (now the Alliance Defending Freedom) and the Healthcare Freedom of Conscience Working Group and is an orga­nizational representative within the Freedom2Care Coalition. Samuel B. Casey, J.D., is a public interest lawyer well-known for his defense of the sanctity of human life. In this interview, he discusses the history and current state of abortion law in the United States.